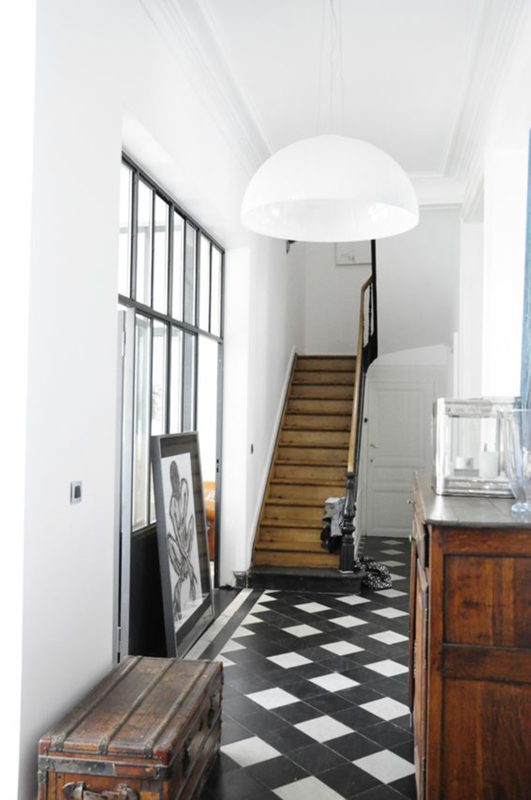 Next up on the Renovation Wishlist is a dramatic black and white tiled floor. I mean black and white are basically my love language so having the opportunity to introduce an element like this in a large scale is so exciting to me. As I have mentioned before, the way our home is situated we never use our front door. And as we have no foyer or real entry option available on that side, we have decided to add a little more interest to the back entrance. You will enter the home off of a new wood patio that the home wraps around on three sides. Not wanting to go from wood deck to wood floor I threw out the idea of tile to my husband and he was 100% in. This entry hall is a multifunction area that includes our mudroom and our laundry as well, so having a tile in these areas seems ideal. Another bonus for thinking tile is our best option, we will not have to refinish or match our existing wood floors. 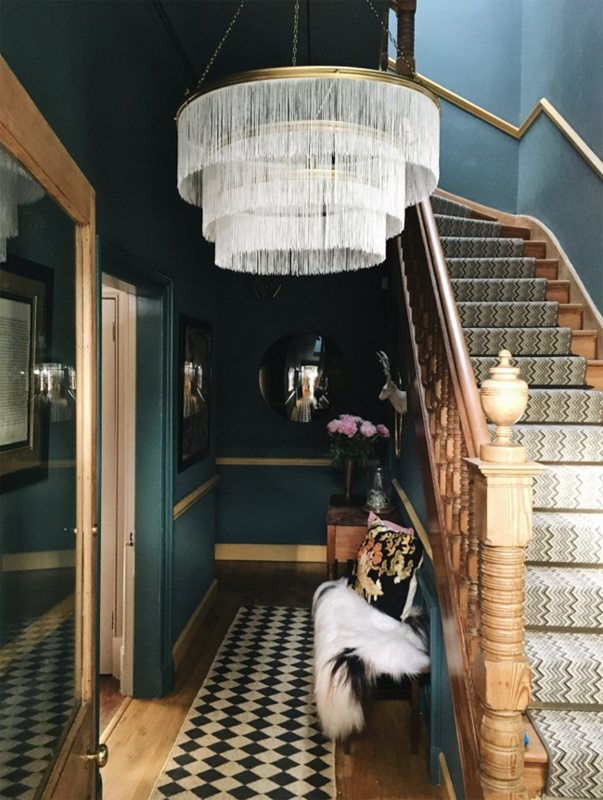 We can use something very similar in the master suite, but there will be enough distance that they do not have to be exact. Bonus! The border on this one is fantastic. Such a small detail, but it really takes this tile to the next level. I am also considering using basic tiles but playing around with the layout. 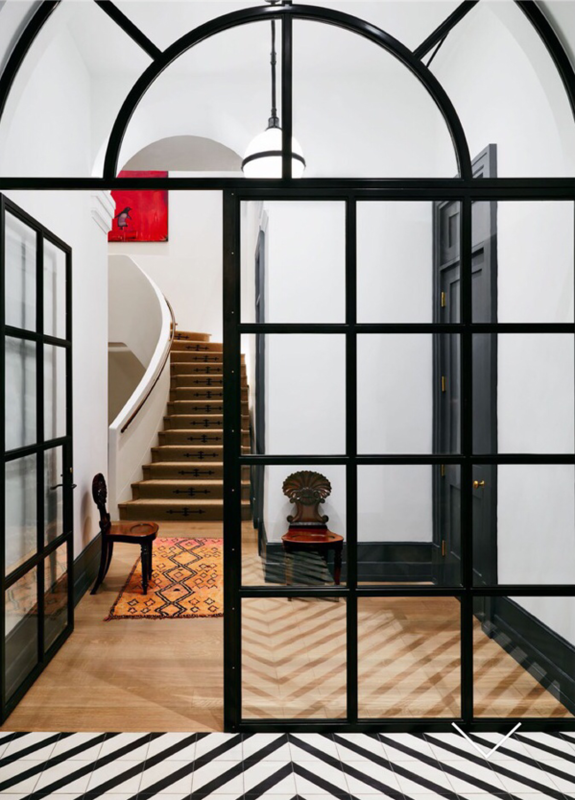 This lattice pattern is a great example. Not as traditional, but man oh man. 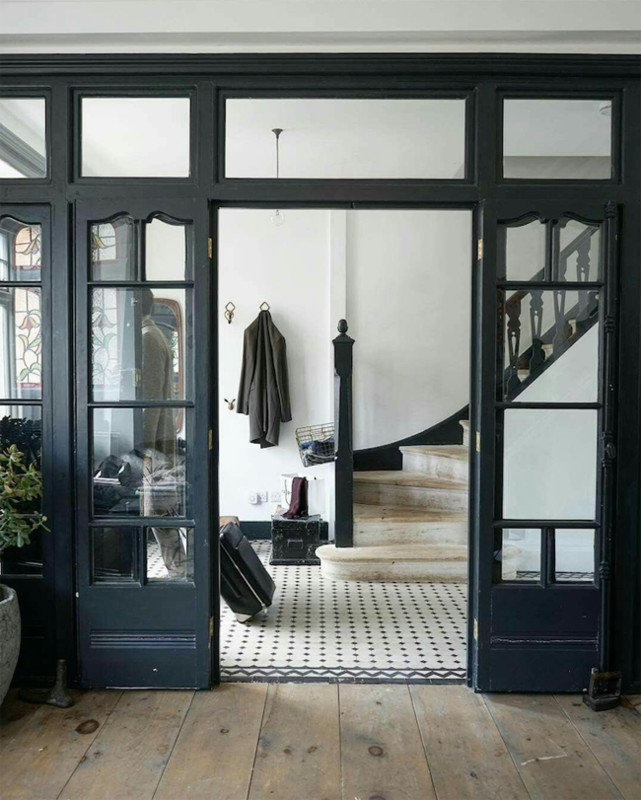 I also love how this inspiration has the wood floor next to the tile and the steel frame doors. We are still working on the window and door selections, but there will be a full wall of windows/doors over looking the patio so this gives me all the feels. And on the opposite side of the spectrum, this one runs a little more rustic with the wood floors, but again I can visualize a similar view through our black builtins that will be a passthrough into the new hall. Not black and white, but still you get the classic drama. This one isn’t even tile! 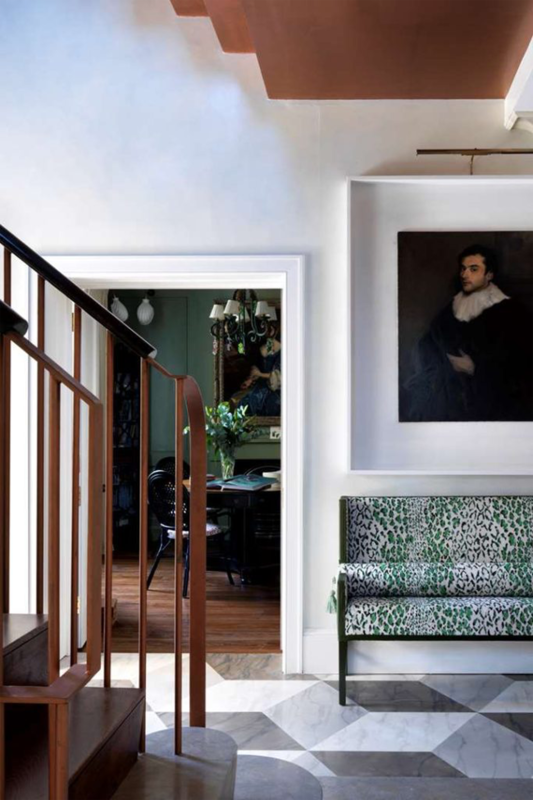 But I love the feel of the rug in this hallway & we all know that wall color is my favorite shade of green. Here are eight of my favorite patterned tile finds & they are all under $10 a square foot. I am actually awaiting samples of a few of these, so you may be seeing more of these in the very near future!! All the heart eyes! 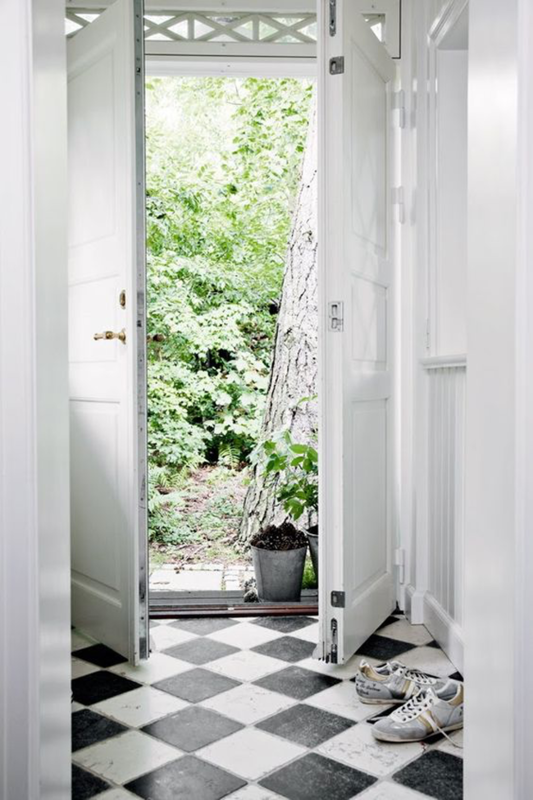 I too dream of a black and white tile floor in my life someday! Excited to see what you do and how it turns out. I like 2 and 7. They’re all nice but I’m most drawn to number 6. Good luck on your decision! 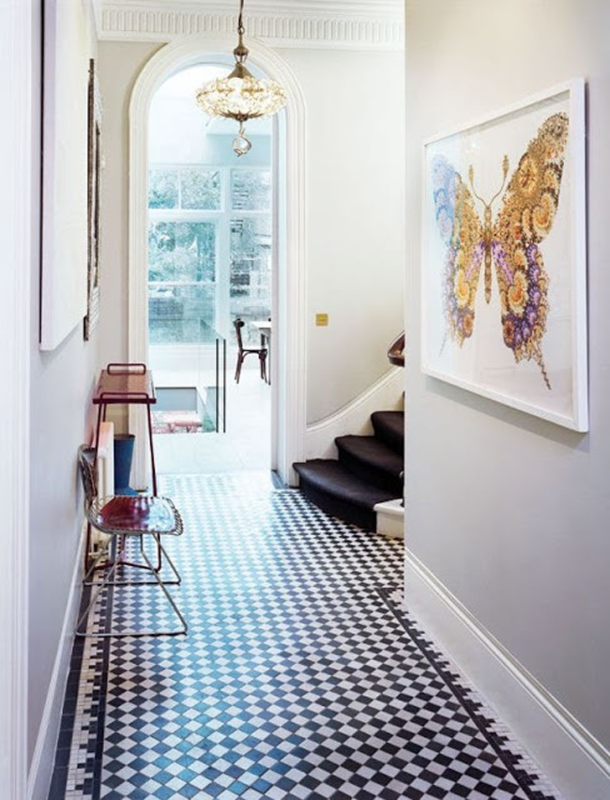 I am obsessed with the standard black and white tile with an unexpected pattern! That is genius. I cant wait to see what you choose. I know it will be beautiful!